Mix and mingle with cocktails on the garden terrace and enjoy exclusive access to our newest exhibition Queer California: Untold Stories, followed by gourmet dinner featuring lounge-style seating and a program that includes an exciting live auction and paddle raise. Then stay to dance the night away at Ziggurat Late Night, including live entertainment, food by chef Reem Assil of Dyafa, speciality cocktails, and more. Purchase a lounge for 8-10 guests or individual tickets. All Ziggurat guests must be 21 and over. To learn more about the event, please contact us at ziggurat@museumca.org. 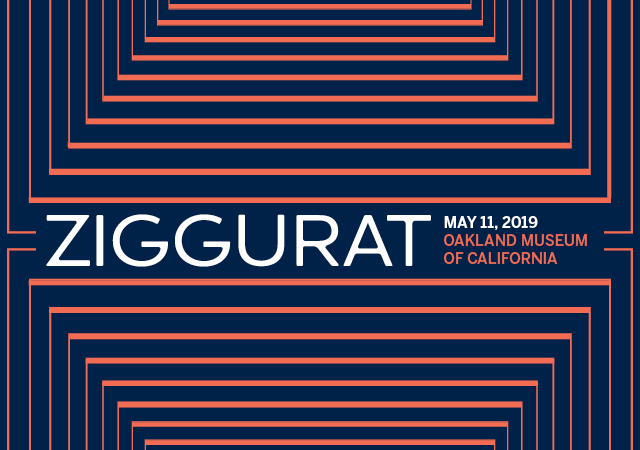 Is your company interested in supporting Ziggurat and the Oakland Museum of California? Customized, elevated sponsorship opportunities are available at the Catalyst and Innovator levels. Please contact Julia Ann Starke, Corporate Partnership Manager, 510-318-8508 or jastarke@museumca.org to learn more about how your company can support this important fundraiser for the Museum.